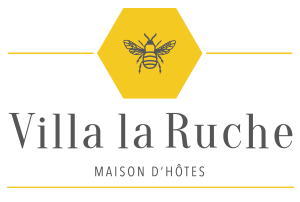 During your visits on website « www.villa-laruche.com », we will need to collect some personal data about you for your booking. In respect with the law of January 6th 1978 said “Loi Informatique et Libertés” with regard to informatics, files and liberties, the automated treatments of personal data collected through website « www.villa-laruche.com » have been declared to Commission Nationale de l’Informatique et des Libertés (CNIL) via our partner Thais Soft. « www.villa-laruche.com » complies to respect the law “Informatique et Libertés” n°78-17 du 6 janvier 1978 and ensures, through its partner Thais Soft optimal security measures to prevent the loss, misuse or alteration of personal data given by internet users. Hypertext links to other sites that this site. « www.villa-laruche.com » has no control over the content of such websites and disclaims all responsibility if the contents violate the laws and regulations. In accordance with the laws governing the ownership of literary and artistic rights or similar rights, all items, brands, names, photographs, drawings, models, logos, graphics, color codes, etc.. found in this site are the exclusive property of such entities to « www.villa-laruche.com » or its partners or suppliers, it or they do not grant any license or right other than visit. Reproduction or use of any or all of these elements is only authorized for the purposes of providing information for personal and private use, any reproduction or use of copies for any other purpose is expressly prohibited. Any other use constitutes infringement and is punishable under the Intellectual Property, unless prior written permission of « www.villa-laruche.com ».